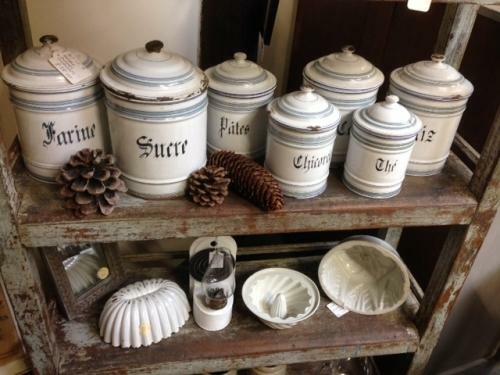 Set of 7 Antique French Enamel Storage Canisters with lids in graduated sizes and labels to front. Good colour being predomitary white with detailing. Difficult to get such a large complete set now. Can be posted in UK for £10.